Label Distributors and Resellers: Buy With Confidence! With over 25 years of experience working specifically with Resellers, we have your back. Compare our pricing top to bottom, not only stock but custom sizes and materials. We are the industry leader in blank and one color labels. 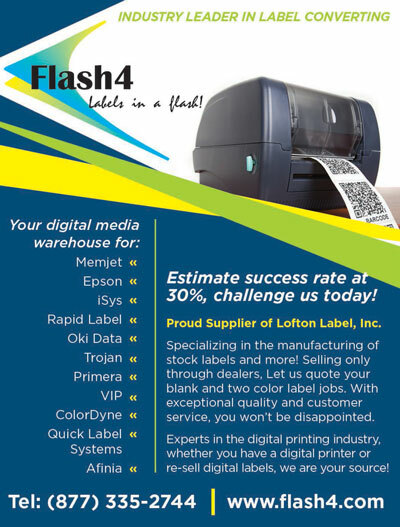 top to bottom pricing that you can count on as industry leading is what Flash4 prides itself on. and can offer our expertise in the latest OEM digital technologies. for your barcode printing application. Copyright © Flash4. All Rights Reserved.